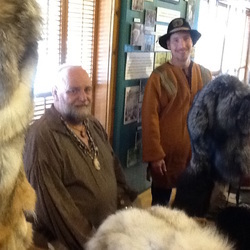 11am presentation in Fur Trade Museum: Muzzle loader accuracy and maintenance. The Gift Shop will be open during this event on Saturday and Sunday. Open to the public and Traders this event is a "once a year" opportunity for you to get great deals on merchandise that the Traders want to clear out of their inventory, reunite with fellow Rendezvous traders, and visit with the public. 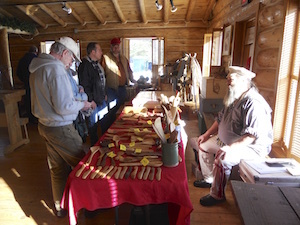 ​You never know if you will find just the item you are looking for, not to mention the fun and camaraderie of a Traders camp, indoors, in the middle of February. NEW EVENT DURING THE TRADE FAIR! On Saturday, February 16th there will be Primitive Biathlon held on the grounds of Forts Folle Avoine Historical Park. More information can be found on the Primitive Biathlon Webpage. 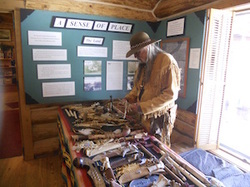 A presentation about Hunting in Primitive Style with a Traditional Muzzleloader will be given on Sunday, Feb. 17th at 11am by Jim Swanson. Jim is an avid huntsman and outdoorsman, and enjoys teaching others about muzzleloaders and traditional ways. 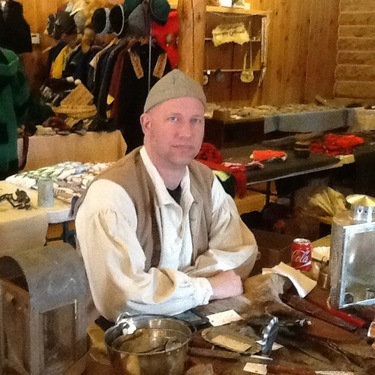 He will also be winter camping outside the visitor center during the weekend, and is our range master for the Primitive Biathlon on Saturday. Accommodations: Traders may bring a cot or bed roll to sleep in your table space or there are lodgings close by. A Winter Encampment space will be available outside the Visitor Center for anyone who wishes to set up a tent outdoors. There will be no charge to camp. Ike Walton Lodge: http://www.ikewaltonlodge.com 7861 Birch Street, Danbury WI 54830 (715) 866-7101. 2 miles from Forts Folle Avoine. 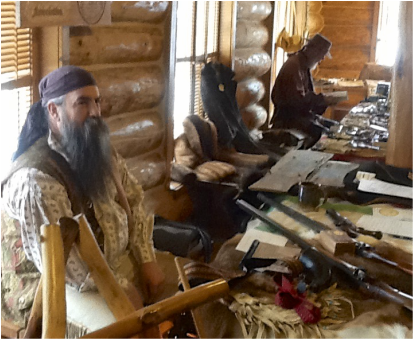 Jim Swanson showing how to use a traditional flintlock muzzleloader at the Fall Encampment School Day.